How does water quality affect hydroponics? Why is water quality important in hydroponics? Hydroponics is an important sector of the agriculture industry, with the capacity to sustain farming operations in urban areas or locations with low-quality soil. This food-growing method relies on water alone without the presence of soil. The hydroponic plants must be supplied with all the necessary nutrients and minerals in the flowing water source itself. These nutrients are added by the operator, and then the augmented water is recycled through the hydroponics infrastructure many times – until harvest or until a build-up of salts or pathogens requires the solution to be replaced. While the hydroponics process will naturally cause salts to accumulate in the water, this process is enhanced if the water source is of a poor quality from the beginning. 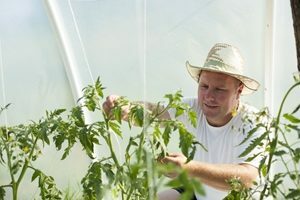 According to industry online magazine Practical Hydroponics & Greenhouses, water quality can have a major impact upon the management of a hydroponics system. Raw water sources from groundwater or dam/river water commonly contain factors that can influence plant yield and affect plant condition, including salinity, dissolved solids and pathogens. While some of these factors can be beneficial to crops, others need to be minimised. Iron in water can oxidise and lead to iron scale, while high levels of sodium chloride can cause significant problems to intolerant plants – such as lettuce, capsicum and beans. When water is continuously recycled through a hydroponics system, the level of sodium and chloride can easily increase over time, as the plants are unable to take up concentrations higher than what is already present in the root network. If the increasingly saline water is not treated, it leads to these problem ions being present at toxic levels, reducing plant yield and quality. Hydrosmart water conditioner units use computer-generated resonance frequencies to dissociate sodium and chloride ions from each other, which lessens their toxicity. Controlled trials have repeatedly proven that installing Hydrosmart technology on hydroponics leads to better growth by-weight, and a more marketable product. Mechanistically, Hydrosmart ensures that beneficial minerals are more bio-available to plants, leading to the high yields and more robust growth. Overall the Hydrosmart technology offers significant advantages to hydroponics production, particularly in prevention of saline toxicity.